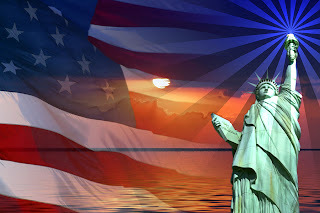 As we celebrate Memorial Day, we'd like to take a moment to honor and thank our Nations men and women in uniform. Their dedication and bravery protects our country and preserves our liberties. From our family to yours, have a happy and safe Memorial Day. Buying gemstones is a big decision. Gemstones are a prized possession so when it comes to purchasing genuine gemstone jewelry, here are several things you need to consider before making that jewelry purchase. 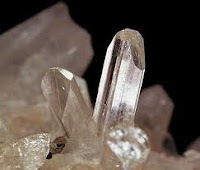 Clarity - The majority of gemstones do have flaws (also called inclusions) within the stone. Gemstones are rated on their clarity/inclusions on a scale and these flaws and inclusions are mostly seen under a jewelers microscope or loop. Obviously the fewer flaws that a stones has, the more expensive it will be. Setting - Gemstones are set in a wide variety of costume metals, semi-precious and precious metals. A setting will vary in price greatly on the piece you are purchasing depending on the type of metal you select and the design. Carat - All gemstones are weighed and then their carat weight is determined. One carat in weight is equivalant to 200 milligrams. The bigger and heavier your gemstone jewelry is in carat weight will also help to determine the price that you will pay for that piece of jewelry. Cut - Gemstones are expertly cut by qualified expert artisans who cut gems for a living. You will find a wide variety of cuts like princess cut, marquis cut, barion cut, cushion cut, emerald cut, etc. Some gemstone cuts are more expensive to create than other cuts, so the cut of you gem can also determine the price. By knowing this type of information when you go to a jeweler's to purchase your next gemstone jewelry piece, it will help you to understand their pricing as well as to determine what a good value is for you personally. Learning about all the unique yet beautiful gemstones that are created by nature sure is enlightening. We have a lovely piece to tell you about today. The Chrysoprase is considered to be one of the rarest and most valuable gemstones in the Chalcedony family of gemstones. It comes in on the Mohs hardness scale at 6.5 to 7 so it's a semi-hard, semi-precious gemstone. This beautiful gemstone is typically found in an apple green to deep green color as well as many shades of green in between. Those who are not experts in jewelry or gemstones have sometimes confused Chrysoprase with fine green Jade. This gem is typically mined in various countries like South Africa, Brazil and Russia but is available from reputable gemstones sites of jewelers. To wear the Chrysoprase, you will find that is it typically not faceted or cut like typical gemstones. It is primarily used in bead form or as cabochons in various types of jewelry settings. You will also find this lovely gemstone used in cameos as it is easy for the carver to work with. 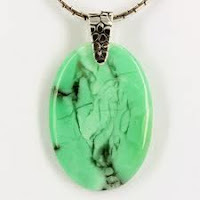 When taking care of your Chrysoprase jewelry you want to be careful with it and never submerge it in water or chemical cleaning solutions as water and chemicals can damage the stone. You never want to store your jewelry in direct sunlight or extreme heat/cold. Your jewelry should be placed in a protective jewelry box or jewelry armoire for long lasting storage. If your pieces need a light cleaning you can wipe them down with a damp, soft, cotton cloth. If they need a deeper cleaning then it's best to take them into a professional jeweler to get them cleaned. This type of gemstone is gorgeous visually and wearing it will certainly compliment your style and fashion sense. Enjoy it! Marlene Dietrich was a famous Hollywood star of film and stage. Born in 1901 in Germany she became well known in Berlin for her film and stage shows which ultimately brought her to America. She became a US citizen in 1939 and continued her career into and throughout World War II. For the next 20 years after the war, she toured the world performing. In 1999, she was named one of the greatest female stars of all time. She was also famous for wearing her own gorgeous jewelry in most of the films that she made. In addition, she wore mostly her own jewelry in professional photographs. Her jewelry collection was massive and had some of the best quality gemstones and diamonds in the world. She is considered to be one of the most photographed women in the world during her infamous career. She was known to make quite a fashion statement on screen and off screen and stage as well. One of Marlene Dietrich's most well-known jewelry pieces is the famous Busby Berkeley Bracelet. 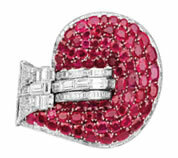 It is a bold and gorgeous ruby and diamond bracelet that Marlene wore in the popular Alfred Hitchcock film called Stage Fright. The bracelet was named after the famous Hollywood director and choreographer although there is no documentation as to why. Marlene loved this bracelet and was photographed many times wearing this stunning piece but after the film, it remained in the vault and not worn often. The bracelet was made by the famous jewelry designers Van Cleef & Arpels around 1937 and was sold by Sotherby's Auction House in New York in October 1992 after her death for around $990,000 (reportedly). The bracelet was estimated to sell for around $300,000 and was purchased by an unidentified bidder. The rest of Marlene's jewelry collections were sold in auction in 1997. When is comes to choosing the right graduation gift for a special young lady in your life, Chasing Treasure is here with wonderful suggestions and a large selection of items that will make your choice the right gift and become a loving memory too. Regardless of the age of your graduating girl, you have to see what we can do for you! One of the great things about our jewelry box selection is that there are so many different styles and sizes. While that may seem overwhelming at first, it actually makes it a bit easier to select the right one depending on the age of your graduate. We have jewelry boxes in all sizes starting with ones for young girls and their favorite musical ballerina boxes. Beautiful in all sizes and decor styles, one will surely have a young girl smiling in delight. For the Tweens and Tweens, you cannot go wrong with our wonderful leather boxes and the stylish train cases that the girls love. Many girls in this age range love earrings so be sure to choose one with lots of earring storage. Many of our hardwood jewelry boxes are classic in style so they can grow right along with your graduate girl and follow her through life. For the adult graduate, our handcrafted wooden jewelry boxes are sure to please. Extensive style selections from traditional to modern in many color choices will assure you that you are selecting the right box for your girl. Many of our boxes have engravable plates so you can commemorate the date and even include a special message so she can remember the occasion for a long time to come. We realize how special a graduation gift of a handcrafted jewelry box can be and we are here to help make sure that you are completely satisfied with your choice and are just as thrilled as your graduate will be. 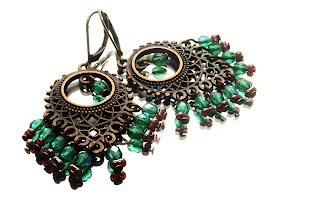 In today's economy and limited budgets, women everywhere are looking to make good investments in their jewelry collections by purchasing neutral pieces that would go with a variety of clothing that they already have in their wardrobes. When selecting jewelry that has color, you can choose neutral tones so that the pieces will work with a variety of your colored clothing options, as well as work with your classic colors too. Invest in some white and/or ivory colored cultured pearls or faux pearls. When you stick with the neutral white or ivory with your pearl colors you can wear them with just about everything you have in your wardrobe. They can be dressed down with jeans and a casual shirt or dressed up with a nice business suit or cocktail gown. Invest in classic metal jewelry pieces, without gemstones, beads or enamel. Stick to classic chain style necklaces, chain style bracelets and invest in a few pairs of good metal hoop earrings. If you want to save a lot of money, look for pieces in the fashion jewelry market or sterling silver jewelry markets. For long term investment and wear, purchase gold or platinum pieces. If you want to invest in gemstone jewelry it is best to go for gemstones that are colorless or have pale coloring to them. 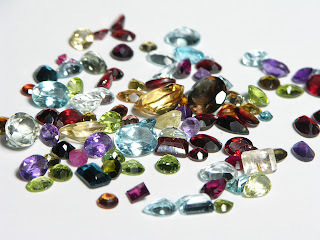 Look for gemstones in colors that would work with the majority of fashions you have in your wardrobe. We like the citrine, smoky quartz, black onyx, mother of pearl, white topaz, sapphire and ruby to name a few. 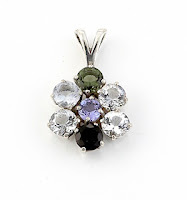 All of these particular colored gemstones can work with the majority of your spring and summer wardrobes. Don't despair! It is possible to stretch your jewelry collections and yet be fashion forward. Think classic and long term and you will be right in style every time with pieces that will look great year after year. The Charoite is one of the rarest and most beautiful gemstones that has been discovered in recent years. It's a beauty of a stone and comes in an amazing violet purple color with striations of milky swirls throughout it. It's a natural mineral that was discovered in the early 1940's but didn't get its official gemstone description until 1978. This gemstone is a rare and unique beauty! Because the beautiful Charoite gemstone comes in at 5 to 6 on the Mohs hardness scale, it will need to be treated with special gentle care so that it doesn't become damaged while wearing it. It is only mined from one place in Siberia so you might have to look around for jewelry pieces containing this wonderful gemstone. Or if you can get the gemstone by itself, have a special jewelry item crafted for a gorgeous one of a kind piece of art, like a drop pendant. Since this stone is delicate you will need to protect it from being submerged in water (bathing, showering, swimming etc.) so that the moisture doesn't damage it. If you need to clean your pieces you can use a slightly dampened soft cotton cloth or take it in to a professional jeweler. For storage you should place all Charolite jewelry pieces into their own fabric lined jewelers pouch and then place the pouches into your jewelry box and never place more than one piece in each pouch! Another great option is a superior quality jewelry box with individual velvet lined compartments. The rough and rugged look is back on trend for the spring and summer season. When it comes to men's jewelry this season you want to look for a few key pieces revolving around the rough, rugged, definitely casual and laid-back look. Here is what is on tap for this Spring for the guys. Some guy's enjoy wearing necklaces and popular with them are ones that have leather or man-made cords. Look for rectangular or circular style pendants or dog tags to hang off the cords for a nice fashion look this season. 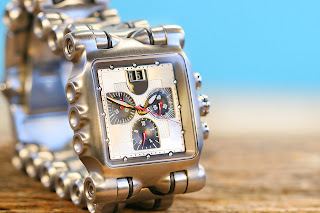 A good casual looking watch is a must-have this spring and summer. Men are hard on their jewelry so look for a watch that is water resistant, just in case he forgets to take it off while showering or swimming. The bands this year range from casual cargo style which is very popular and come in a lot of popular colors to stainless steel. Stainless steel and titanium metals are durable and can put up with the abuse that men tend to put their jewelry through so they are always a good choice. Look for watches, neck chains and bracelets made from these two metals in chunky link styles for a casual and sporty look. Band rings, band rings, band rings! Skip the gemstones and go with a nice solid metal band ring in 14kt gold, sterling silver or stainless steel. Men don't like worrying about gemstones coming loose when they are out and about having fun in the springtime and summer weather. These band rings are hot. They come in a range of thickness and fabulous colors too. No matter the age of your guy, any of these looks are going to be appreciated by him. Trends like these look great all the time and the men enjoy wearing this type of jewelry on a regular bases and look great too. Don't forget a handsome men's valet box keeps it all organized! May and June are prime months for graduations whether it is middle school promotions, high school graduations, college level graduations or a professional starting out with a brand new degree and a new job, looking for the perfect graduation gift can be stressful. At Chasing Treasure we are here to make your gift buying quick and easy. Men of all ages have an assortment hand held electronic devices so what perfect item to give them but a convenient charging station valet. These handy valets sit on a dresser and can hold many of the items that young adults use today. Our men's black java wood charging station and jewelry valet is smart looking, sporty enough for any age and very practical with jewelry and accessories storage. The charging station holds 3 electronic devices such as cell phones, iphones or ipods. Unsightly cords are fed through the back and hidden in the compartment below. Also included is a pull out drawer that has ring rolls, coin slide and open storage which make this a handsome way to stay organized and a great go to item for controlling the clutter! For the ladies on your graduation list, our collection of leather jewelry cases by Wolf Designs are available in stylish colors to suit every personality and offer a sleek way to store a new or already established jewelry collection. Available in three sizes from small to large, each size offers divided jewelry storage to help organize every day jewelry items like rings, earrings, watches and bracelets. Each is lined with anti tarnish lining to keep silver jewelry tarnish free. Convenient train case styling with a carry handle make these cases the perfect gift for girls heading off to college as well as for ladies of all ages to organize jewelry at home or easily take on business trips. They offer the versatility of being beautifully displayed on a dresser top or easily stored in a suitcase, closet or drawer. Choose from three colors - Platinum, Mediterranean and Amethyst. Spoil your graduate with a memorable gift from Chasing Treasure. Give them something you know they will want and use every day in celebration of their accomplishments. Wishing You a Wonderful Weekend and Happy Mother's Day from Chasing Treasure! It is fun to have some glitz and glam every once and a while and right now we are seeing a lot of sparkling gems lighting up the jewelry counters. Perfect for spring and summer, diamond or diamond like encrusted jewelry is a fun way to sparkle and shine. And it is not for evening wear only. There are 2 great trends that you can check out with the diamond jewelry. You are going to be able to find these at any nice jewelry counter or online retailer. 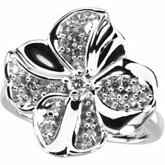 Floral diamond jewelry is one of the hottest trends for summer 2012. We are seeing celebrities everywhere sporting real diamond floral-style earrings, necklace pendants, dangling floral diamond charms off bracelets, diamond floral brooches and of course cluster-style floral rings. 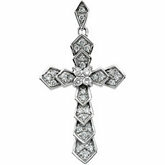 Diamond religious crosses are always popular with anyone of the Christian faith and this summer season we are seeing Christian celebrities wearing beautiful diamond cross pendants, diamond cross earrings and even religious cross pins that are all decked out in glittery sparkling diamonds! Of course, most of us are not spend what it takes to buy the real deal, so for us, we can find gorgeous crystals that are pure and clean so they sparkle and shine too. When you take clear, quality crystals or rhinestones and set them in sterling silver, you can get the same look at a fraction of the price. Lights love to bounce off beautiful diamonds and crystals so why not embrace the hottest trend right now and show your lovely glitter. Match it with your favorite outfit and with a set of gorgeous rhinestone, crystals or diamonds you are going to shine like a celebrity. 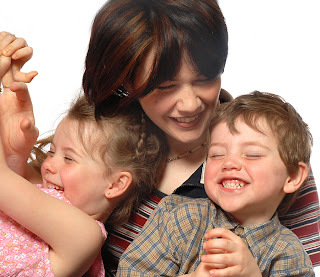 Mother's Day is Sunday, May 13th and there's still time to choose a great gift today. Choose a jewelry box that ships from nearby and surprise Mom with a jewelry box this Mother's Day. Length: 10 1/4" x Width 7 1/4" x Height 3 1/4"
Divided compartments for bracelets, brooches and earrings. Base storage with horizontal dividers for bracelets or necklaces. Two doors with catch shelves accommodate necklaces and chains. Well includes earring storage, 3 drawers hold rings and larger pieces. Length: 15 1/2" x Width: 9 1/2" x Height: 10"
Length: 19" x Width: 13" x Height: 40"
Fine jewelry is not simply a fashion item, it is often very valuable, and like anything of value, you have to make sure that it is stored safely. 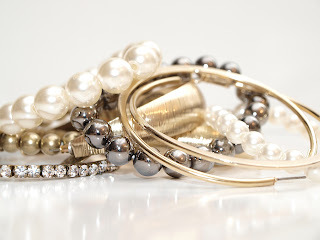 Tucking away your jewelry in a drawer or in a simple jewelry box may be sufficient for small and inexpensive collections, but for extremely valuable jewelry collections you need to take stronger measures. You can always opt to store valuable items in a bank's safety deposit vault but a more convenient option is to get a jewelry safe and keep your valuables at home. Chasing Treasure offers a compact luxury jewelry safe especially for people who want to keep valuables at home. 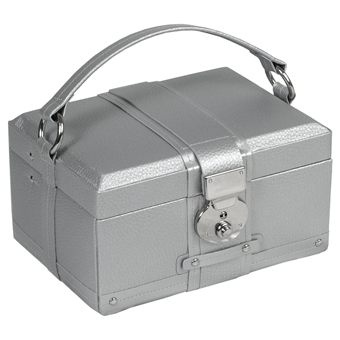 The compact luxury jewelry safe is ideal for small jewelry collections, or as a backup safe. It can fit into tight spaces or cabinets, and can be used in master bedrooms, vacation homes, yachts or guest rooms. 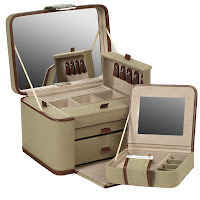 With its pearl white exterior finish and handcrafted walnut interior trays and lined compartments, this home jewelry safe is chic, compact and provides the storage versatility of a convenient jewelry box. There are five walnut wood drawers with compartments and a luxury lining. The trays are removable, making it easier to arrange and rearrange jewelry or search for particular items. The drawers have different partition arrangements. One drawer is divided into four equal squares, another has five compartments across the width that would be perfect for bracelets and necklaces stored flat. The bottom drawer is undivided. The safe has an impressive array of security features including a 1/2" steel pry-resistant recessed door and a 1/4" continuously welded body. In addition it has one inch chrome plated bolt-work and a UL listed high security digital lock. The lock and re-locker are protected by hard-plate and the bolt-work is protected against a side attack. It also features a spring loaded re-locking device and a solid steel dead bar prevents door removal. The heavy steel hinges round out the security features of this compact home jewelry safe. The small unit offers commercial quality burglary protection while keeping your jewelry organized and accessible. It combines the safety of a bank deposit vault with the convenience and beauty of traditional jewelry boxes that you keep at home. On top of this, it is elegantly designed and will fit in with the decor of your home, office or any other location where you choose to install it. If you have jewelry or other items that are valuable enough to require the protection of a safe, then this compact home jewelry safe could be just what you are looking for. The list price for this safe is $3,500 but it is possible to buy it online for $3,000 which is a considerable savings. Weighted against the value of the jewelry that it protects and the peace of mind that proper security will bring you, investing in a luxury home safe like this one makes a lot of sense. The beautiful Jacqueline Kennedy was born on July 28th, 1929 and was the wife of the 35th President of the United States, the late John F. Kennedy. Jacqueline lived a full and wonderful life until her passing on May 19th, 1994. While her husband was president, Jacqueline became known as a fashion icon thanks to her wonderful taste in wardrobe designers along with the jewelry accessories that she wore. Her personal style was classy and elegant and she only wore the best designers. Over the years, Jacqueline acquired quite and extensive jewelry collection, some that was given to her as gifts and some that she personally purchased. One of the most famous pieces of jewelry that Jacqueline owned and wore quite often was a gorgeous triple-strand of luminous pearls that was designed for her by American jeweler Kenneth J. Lane. Given as a gift to her by her husband, this gorgeous pearl necklace quickly became her signature statement piece. What many people did not know what that this was actually a faux pearl necklace. She was seen wearing these pearls often during her time as First Lady. After she passed away, the pearl necklace was sold for over $211,000 and they have been copied by many jewelry makers. During their Presidency, Mr. and Mrs. Kennedy were gifted a rare strand of Margarita pearls. The Venezuelan president gifted these pearls to them when the Kennedys paid an official visit to Venezuela. The Margarita pearls are from an island off of the coast of Venezuela named Margarita Island. 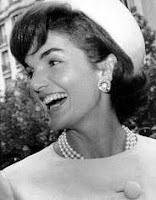 The pearls found there are famous for their color range and the strand given to the Kennedy's is in a yellow tone and is considered rare. Mrs. Kennedy made her place in history by her fashion and jewelry choices. She created new fashion trends whenever she wore something new and exciting and was revered for her style and grace. When it comes to Mother's Day or Mom's Birthday, you want her to feel loved with the special gift that you select for her. We have a wonderful treat for you today that you may not even realize that we carry. It is a small musical jewelry box known as a trinket box that is fashioned in a manner similar to a Faberge Egg. If you are not familiar with the Faberge Egg, it has a long history. The first Faberge egg, the Hen Egg, was created for Easter 1885 as a present from Czar Alexander III to his wife Maria. He had them custom made until the Russian Revolution when the Communists seized Faberge's business. The Czar and his family fled to Switzerland, and the eggs were scattered or claimed by the Bolsheviks. In total, fifty Faberge eggs were made but only 42 known eggs survived to the present day. Our beautiful Trinket Boxes are decorated in the same fashion with gorgeous hand set Austrian crystals, hand enameled details and 24kt gold accents. Inside, these amazing boxes are lined in velvet to protect the finest jewelry. Included is a ring roll for presentation purposes should one want to use this as a ring holder to display a magnificent piece. Each musical egg has a beautiful song that plays when the lid is lifted. Chasing Treasure has many of these gorgeous egg musical jewelry boxes to choose from so selecting the right one for your mom is going to be easy. Many people collect these lovely pieces and house them in lighted cabinets where the lights bounce off the clear crystals and make for a sparkling display. However your gift recipient chooses to use your musical egg trinket box it will be welcomed as a memorable and thoughtful gift and treasured for a lifetime. New Arrival - Genuine Leather Jewelry Case in 3 Great Sizes and 3 Great Colors! We're pleased to announce the arrival of a stylish collection of genuine leather jewelry cases available in three handy size and three gorgeous fashion colors. All three sizes are lined with LusterLoc™ anti-tarnish treated interior to protect your jewelry at home or while traveling. Now through May 13th, we have these beautiful leather cases on sale for Mother's Day. Choose from three colors: Mediterranean, Amethyst or Platinum. Each case is crafted of fine genuine leather with a pebble finish. Quality craftsmanship combines sassy style with anti tarnish lined jewelry storage and a secure lock. Features include a beveled lid, multiple jewelry storage compartments lined with white grosgrain LusterLoc™ anti-tarnish treated interior, a key lock and shiny chrome accents. Choose one size or a set of all three sizes and surprise Mom with an amazing gift this Mother's Day! Mother's Day is fast approaching and to celebrate how wonderful Moms are, we have our signature jewelry box on sale through Mother's Day. This gorgeous dresser top jewelry chest is styled in a classic design and finished in satin mahogany. Luxuriously lined jewelry storage sections keep every type of jewelry organized and within easy reach so Mom can find her jewelry easily and keep it beautifully cared for. The drawers offer convenient storage for collections of earrings, rings, pendants and bracelets. The dividers are removable and adjustable to accommodate her particular jewelry collection. Necklaces can be stored in the lid or lay flat in the drawers. There's even a handy mirror in the top section that folds up when needed. If you're looking for a jewelry box to hold years of jewelry, this is a large chest that will be just perfect. It measures 17" left to right - 9.5" front to back and 12.5" tall. For the finishing touch, add a personalized engraved name plate with a special sentiment for your Mother. Engraving is FREE. Order today and surprise your Mom with this gorgeous jewelry chest on Mother's Day, May 13th!